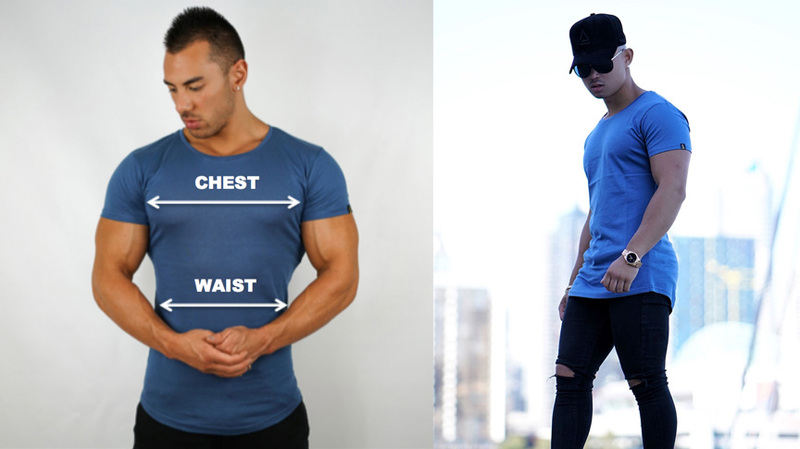 Please Note: Due to the particular style of this tapered waist t-shirt, we recommend that if your waist is measurement is not significantly bigger than your chest measurement to move up one or two sizes. 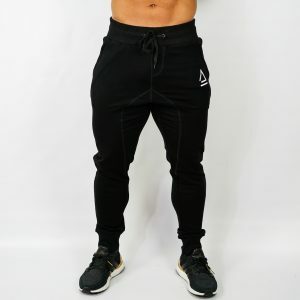 Left Model: Wearing a size medium and is 5 foot 7 inches tall. Right Model: Wearing a size large and is 5 foot 7 inches tall. 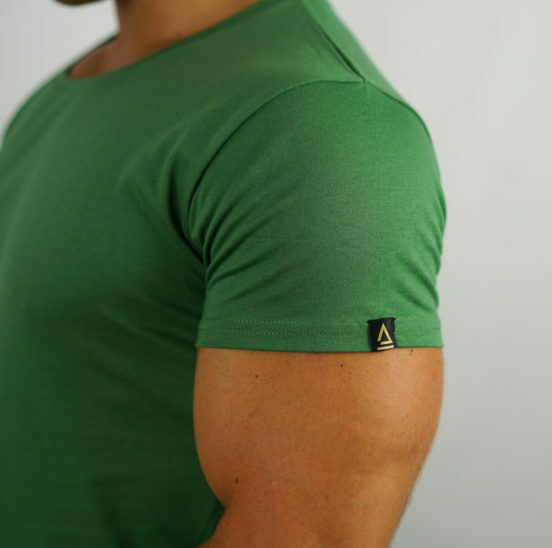 This T-shirt was made and built by an athlete with the measurements tweaked to compliment the athletic body types. 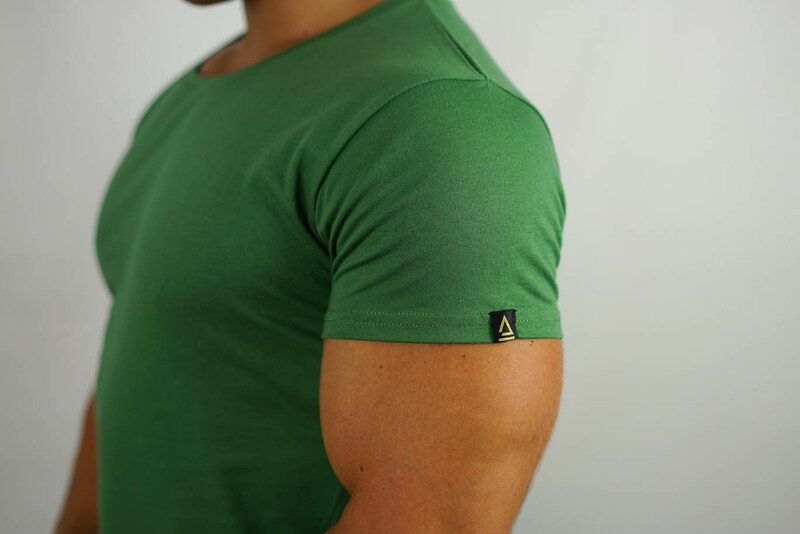 This shirt will be the first thing you grab on the way to the gym or for the casual outing due to the stylish scoop bottoms, made from thin, comfortable yet durable 100% cotton material.